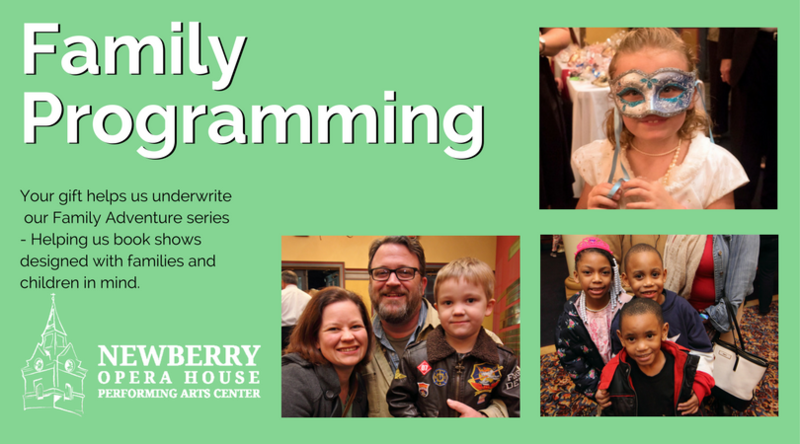 The excitement is mounting for our 20th season with fabulous programming, special events, and one of a kind experiences, but we can't do it without your support! 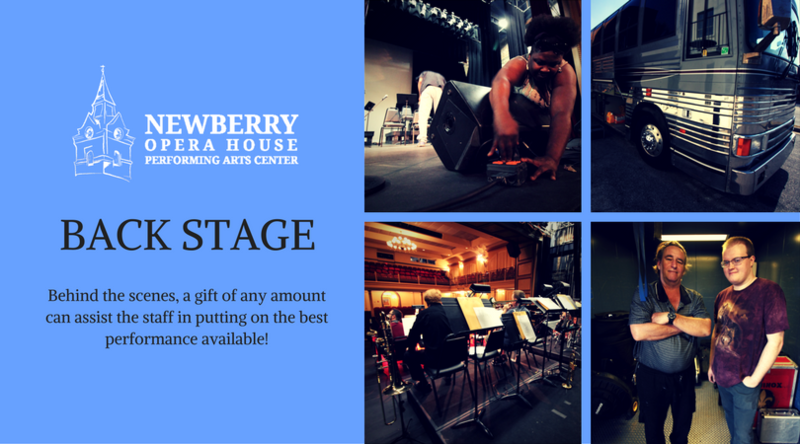 Your contribution will help maintain the Newberry Opera House’s position as the most exciting, compelling, innovative theatre in the Southeast! 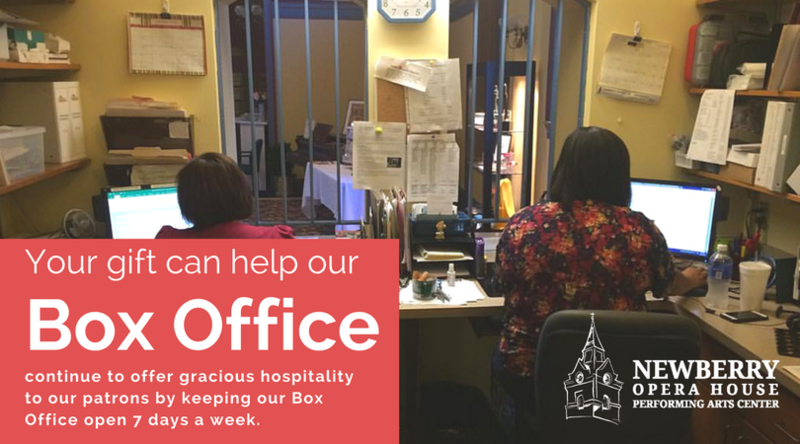 We offer multiple donation levels in which you can give voice to your love of the Arts -- and become more involved in the life of the Newberry Opera House. 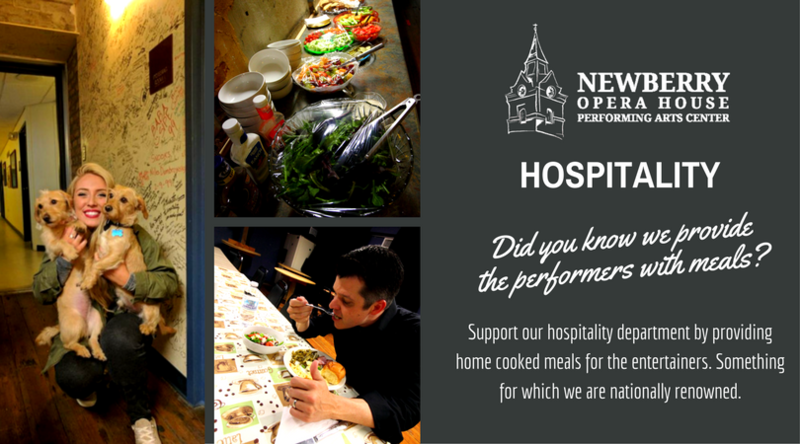 The Newberry Opera House has been fortunate to have a number of generous donors to assist with the cost of the Renovation. There is a particularly touching story about Walter Sims - one of the first donations the Newberry Opera House received.